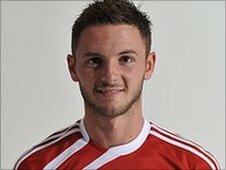 Gillingham have signed Swindon defender Callum Kennedy on a month's loan. The 21-year-old left-back has made 20 appearances for the Robins but has started just three times this season. The Gills were keen to bolster their defence for Saturday's League Two game with Crewe after being dumped out of the FA Cup by Dover. They will be without John Nutter, who is suspended after being sent off at the weekend, while Matt Lawrence is a doubt due to injury. Gillingham's problems at the back have not been helped by the fact that Simon King, Garry Richards and Danny Jackman have not featured all season.